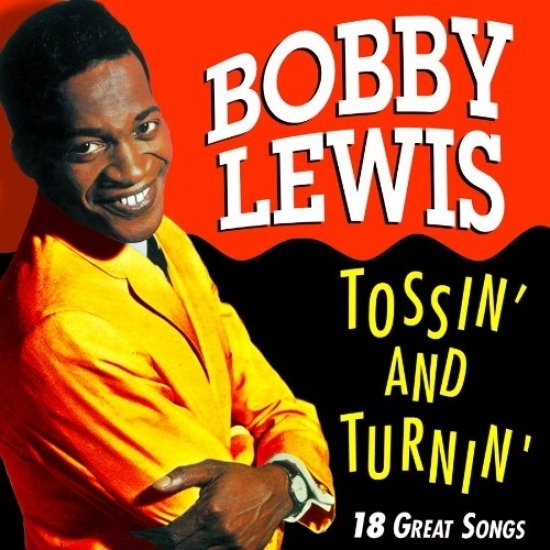 Erroneously mistaken as a one hit wonder (he did have another Top Ten hit, “One Track Mind” in ‘61), Bobby Lewis had the biggest hit of 1961 with “Tossin’ and Turnin’” and for what it is worth, the second number one to be showcased in Animal House, one of many films I can recite word for word and never turn off when it appears on television; even if it is the PG version or what I used to call for years the TBS version. Although this would be Lewis’ only chart topping song, it’s one of the most memorable ones of the era and one of the few number ones that can boast a seven week run at the top. As the name suggests, the “Tossin’ and Turnin’” refers to Lewis’ inability to sleep because of a woman he couldn’t get out of his mind. The song had a beautiful ambiguity to it that made it accessible to anyone as Lewis never explained what is was that this particular woman did (or didn’t do) to him, or whether this was a girlfriend, casual acquaintance or some random woman he met on the street and because of that open interpretation, everyone could understand it. Musically, it was a great blend of pop and R&B and much like the lyrics did, the music had a near universal appeal to the musical sensibilities of 1961. Although it was not part of the “dance craze”, it was certainly danceable and featured a memorable saxophone performance from the iconic King Curtis. Lewis would fall outside of the public spotlight quickly and for a man who had such a monster hit, it was alarming how fast that could happen. A place in pop culture is eternal, but fame always remains fleeting. For what it is worth, the song would be covered later on by The Marvelettes, The Guess Who, The Kinsmen, The Supremes, Peter Criss and Joan Jett. None of those would make the Top 40 and they all paled to the original version by Lewis. Other Notable Songs that charted but did not go to number one in this time period: July 10, 1961 – August 27, 1961. 7/24/61: Cupid by Sam Cooke went to #17 and to #20 on the R&B Chart. 7/31/61: Hats Off to Larry by Del Shannon climbed to #5. 8/7/61: Let’s Twist Again by Chubby Checker reached #8 and to #28 on the R&B Chart. Again from the category of “I didn’t ask”, here are ten other movies that if I stumble across them on television I am not turning off, even if it is “edited for television”: Goodfellas, Godfather Part II, Return of the Jedi, The Shawshank Redemption, Boogie Nights, The Longest Yard, The Good The Bad and The Ugly, Fast Times at Ridgemont High and A Night at the Roxbury. I know that last movie isn’t that good, but we all have one movie we are embarrassed to love. Actually it was by Chad Allen & the Expressions, the band that would later morph into the Guess Who, but if I said that would you know who that was?